Spring is finally here! Which means fresh berries. And strawberries are one of the healthiest fruits around! Strawberries lower blood levels of C-reactive protein (CRP), a signal of inflammation in the body. 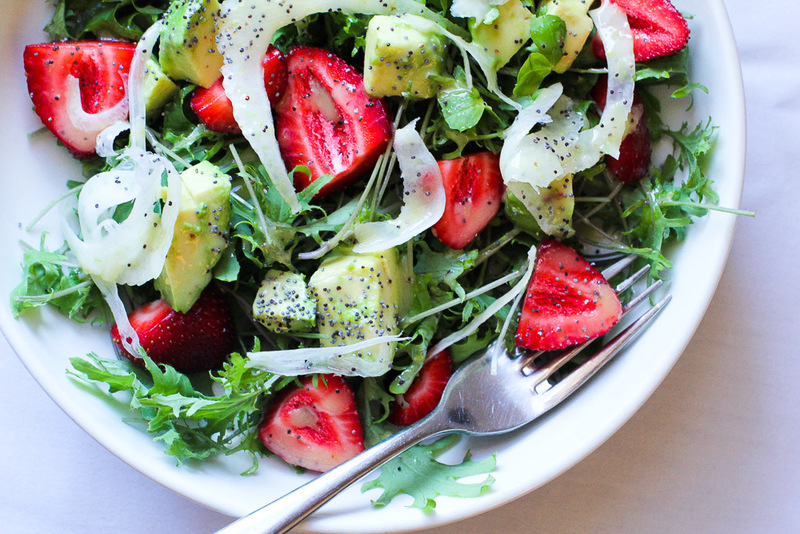 Strawberries are filled with biotin, which helps build strong hair and nails. They also contain the antioxidants which protect the elastic fibers in our skin to prevent sagging. But make sure that you only use organic strawberries! 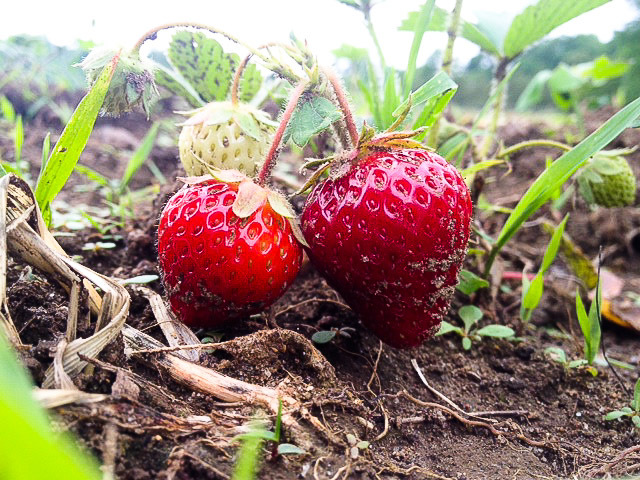 There are over 50 pesticides that have been found on non-organic berries. 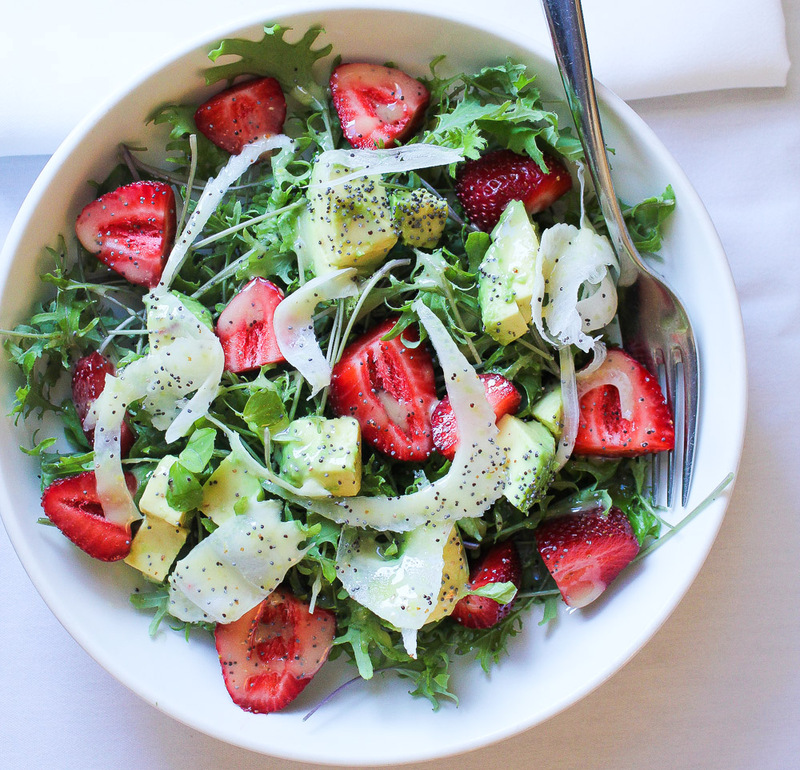 In this salad, I love the creaminess of the avocado against the brightness of the strawberries. A little fennel adds some crunch and the dressing is sweet and tart at the same time. Blend everything for the dressing (except the poppy seeds) in the blender until fully incorporated. Fold in the poppy seeds by hand. 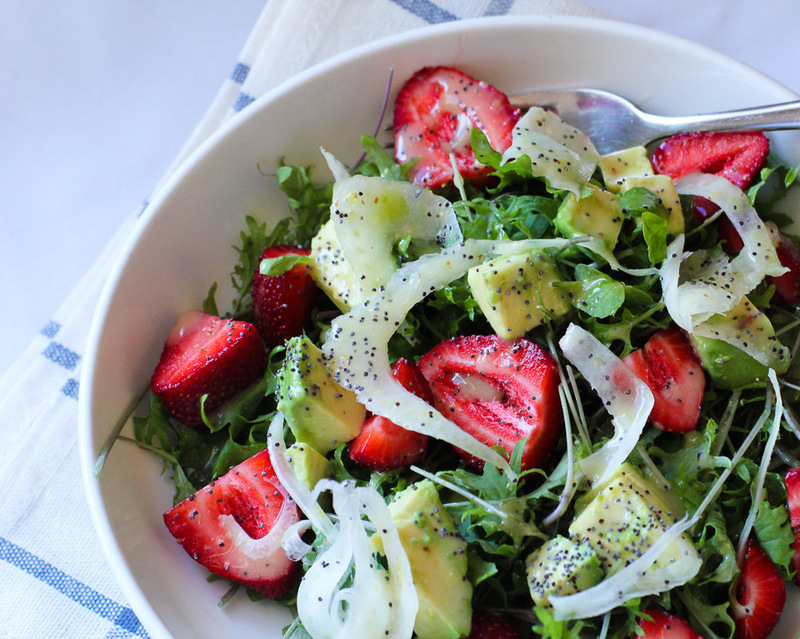 Arrange salad ingredients and dress with the salad dressing and extra poppy seeds.